AN INVESTIGATION has been launched after a train crash at Plymouth station left 18 people injured. 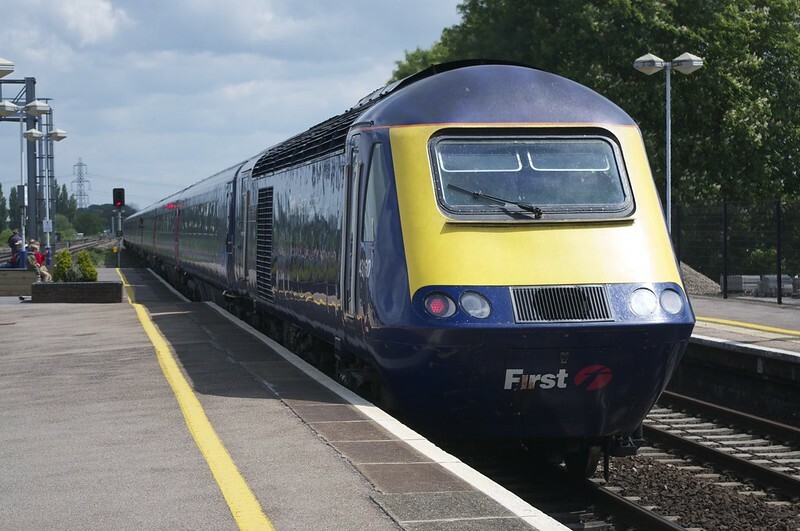 As a train from Penzance to Exeter pulled into platform six on Sunday afternoon, it went into the back of another stationary train at "low speed". A spokesman said: "We can confirm we are investigating a low-speed collision between two trains at Plymouth Station at around 3.30pm this afternoon. "Nine passengers who suffered cuts and bruises are being looked after by GWR staff and local ambulance crews. "Train services were suspended into and out of the station, however, they resumed just before 5pm." South Western Ambulance Service has said eight people were taken to Derriford Hospital following the train crash. None of them were reported to be seriously injured and all are said to be in a stable condition. BOSSES at train operator Great Western Railway say Sunday's crash at Plymouth train station was 'extremely unusual'. A total of 18 people were injured when a local service between Penzance and Exeter collided with a stationary train at platform six at about 3.35pm. And David Crome, general manager in the West for GWR, said this particular crash was unlike any other he had dealt with. A spokesman for British Transport Police, whose officers joined fire and ambulance crews on the scene, said: "A number of people, including the driver of one of the trains, have sustained injuries as a result of the collision and are being treated by paramedics at the scene. "At this stage we believe that a moving train collided into the back of a stationary train on platform six at the station and we are currently looking into the circumstances to determine how this happened." Clearly this accident should not have been able to happen so something has gone badly wrong. It could have been a lot worse so lets be greatful that its a fairly minor accicent with few injuries. There will be an investigation which hopefully will get published so until then I for one wont speculate as to what went wrong. Lets hope all involved make a speedy recovery, from what would have been a frightening experience. And the name of the beaten up HST power car? Sir Moir Lockhead. Spooky. The Newton Abbot accident was caused by the train passing signals at danger. it 'appears' that the Plymouth train was correctly signaled into the same platform as the HST because because the lifts ere out of action on another platform. Three possible reasons (probably all wrong). 1. HST further down the platform than expected (towards Cornwall end) and driver distracted. 2. Lack of rail adhesion - train sliding. 3. Driver used to going into different platform and forgot/distracted. Have to wait for the outcome of the investigation; only fools like me speculate. Exeter St.Davids frequently has have two trains in platform 1 at the same time, by the way. I have calculated that the combined length of an HST and a two-coach Sprinter (diesel unit) is 259.7 metres and that of an HST and a four-coach Sprinter is 299.8 metres. According to information via the Network Rail web-site the usable length of Platform 6 in Plymouth is 260 metres. I'm not clear how many carriages were formed in the diesel unit on Sunday but in the shortest scenario it can only be described as a very tight fit. Yes, it's an odd incident. There was a comment on the Plymouth Herald to the effect that the 4-car (crashed) local train was fouling the points leading to other platforms. GWR management were quick to tell the media that two trains in one platform is permitted (true) but that doesn't mean that the train wasn't accidentally misrouted or it was correctly routed but someone got the platform length wrong and the approaching driver was taken by surprise (compounded by wet rails)and/or distraction), or there was a communication problem somewhere. All conjecture of course, but RAIB usually issue a summary report before the detailed report so hopefully that won't be too long and we will be told the facts. I've never actually known a HST and 150 to share the same platform at Plymouth in over 10 years. Exeter St Davids platform 6 can just about. What I've heard both trains were to long for the platform. Why the 150 wasn't routed onto Platform 5, opposite platform 6 is another question. The problems is there is two 150s away to be repainted in GWR green, this now takes out a third one, we're going to have a shortage of DMU's soon. Of course this is pure speculation on my part, however, the fact that it appears that the driver may have received a "calling on" indication, even though there may have been insufficient room in the platform, might be a "legacy" of the early 1960's signalling at Plymouth station, when this provision was made for shunting engines, requiring to back onto a train, to move the empty stock from the platforms, this being before the multiple unit type operation of todays railway. Just a thought! Fortunately incidents like this attract so much attention - precisely because thay are so rare. Britain's rail safety record in recent years has been second-to-none and I am sure that the RAIB investigation will be carried out thoroughly with the aim of keeping it that way. I hope that everyone who was injured or otherwise affected by the incident makes a full recovery. And just to put this in to some kind of perspective: there have been not one, but two serious crashes on the A38 between Exeter and Plymouth this morning (Saturday 9th April), with one fataility. Disuption to route 39 and the Falcon amongst others. Unlike what happened at Plymouth, collisions on this road seem to be almost a daily occurrence. My thoughts to the injured and bereaved.